I have recently been working on an Exchange 2013 migration, so we are at the stage of migrating the mailboxes. I run a script to migrate all of the mailboxes contained in a text file. I was then using the Get-MoveRequest to check on the progress. As the migration had been running over night I checked up on it and it had appeared to halt as not much had changed since I looked at it the night before. I opened up the ECP and headed over to Server\Databases and all of the databases were in the dismounted stage. The lesson here was that I forgot to enable Circular Logging on the databases, my colleague Terence Luk http://terenceluk.blogspot.com contributed with the wisdom on enabling Circular Logging on the database instances! 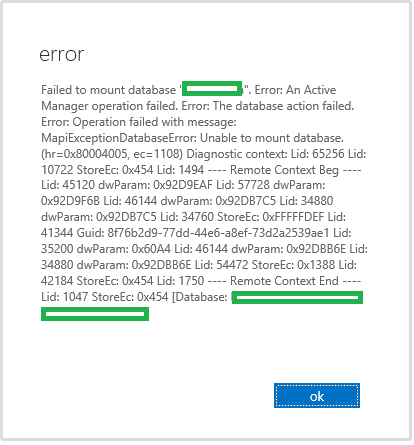 Failed to mount database "db name". Error: An Active Manager operation failed. Error: The database action failed. Error: Operation failed with Message: MapiExceptionDatabaseError: Unable to mount database. 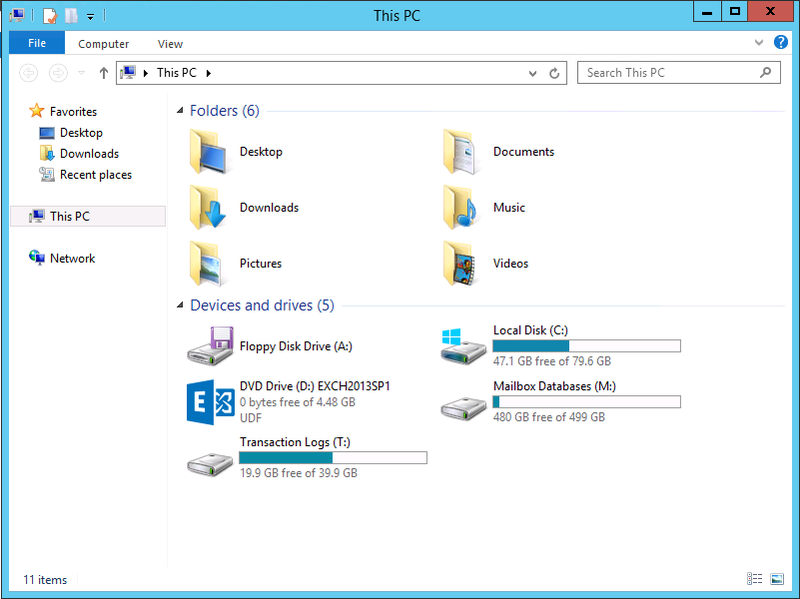 The error was Error: There is not enough space on the disk. I then opened up Explorer on one of the Mailbox servers and the entire Transaction Log partition had been consumed within 3 days. It was set to 20 GB's. As the entire Exchange infrastructure was virtual running on VMware vSphere 5.1 I simply extended the VMDK used by Windows to store the Transaction Logs. I also rebooted both of the MBX server, to refresh and effectively reset all of the Exchange services. I then tried to mount the databases again from the ECP, and they mounted successfully this time. 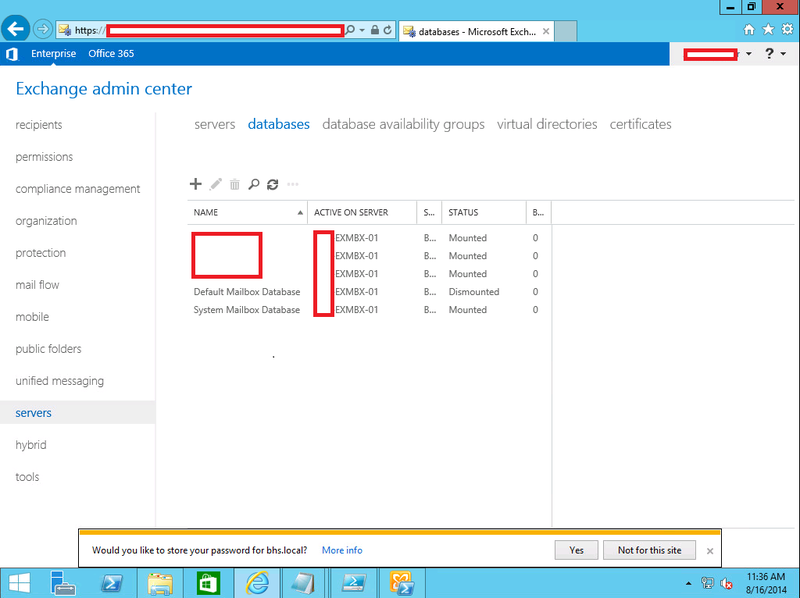 You could off course do this using the Mount-Database command from the Exchange Management Shell also.